It has been more than half-a-year since we last saw a pair of the Jordan Flight TR’97, but for those who loved this trainer/basketball kick – the long wait is over! 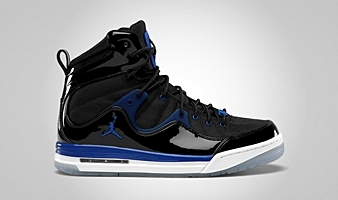 Another colorway of the kick hit the market this month, the Black/Game Royal – White, which is arguably one of the best colorway of this shoe. 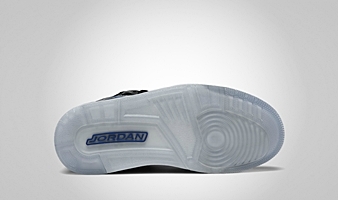 The kick sports an upper part dominated by black patent leather and mesh enhanced with game royal touches on lace eyelid, upper part of white midsole, and the Jumpman branding. This new edition looks very promising so make sure to include this one on your must-buy list!